Deane Arnold's is proving that a true artist can create a work of art from anything. 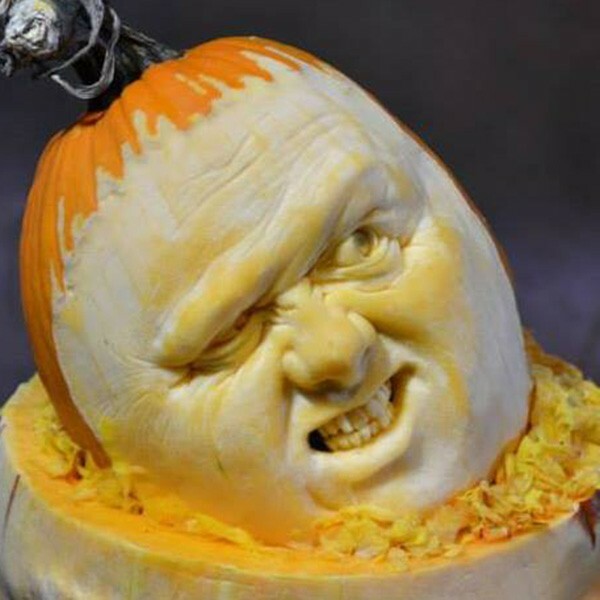 The 51-year-old graphic designer and illustrator hailing from Reynoldsburg doesn't waste any creativity during the fall season as he transforms the seasonal past-time of pumpkin carving into masterpieces of art. On Saturday September 27 Arnold joins the Hurds Family Farm to allow the Hudson Valley community to join the pumpkin carving insanity beginning at 1 pm. To get a glimpse of the artist at work enjoy the one minute video of a two hour time lapse of Arnold's pumpkin carving transformation. Still curious about the artist? Broad and High provides a one-on-one interview with the artist for fans to enjoy. To learn more about the artist's work visit https://www.facebook.com/pumpkin1962 to learn more.